Frank Fahy | I.K International Publishing House Pvt. Ltd.
Frank Fahy retired in 1997 from his post of professor of engineering acoustics in the Institute of Sound and Vibration Research (ISVR) of the University of Southampton in the United Kingdom. 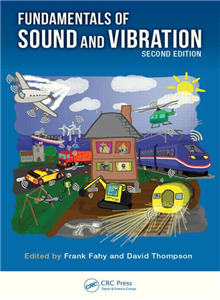 Professor Fahy played a major role in the development and standardization of the means of measuring the magnitude and direction of energy flow in sound fields (sound intensity), which have greatly improved our ability to locate, distinguish and quantify individual sources of noise in the presence of other sources. He is also the author of five textbooks and monographs on sound and vibration and the coeditor of six others.